"..return with songs of joy, carrying sheaves with him" - Psalm 126 :6. 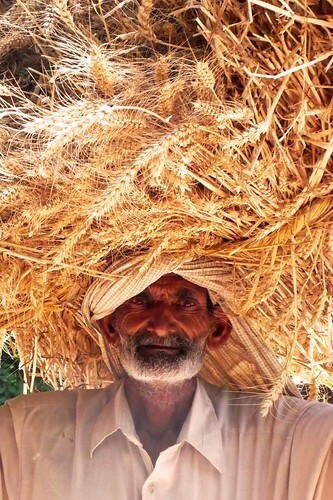 It was a pleasure to see this old man happily carrying the heavy load of harvested wheat on his head despite the scorching heat. It reminded me of the Psalm ! !